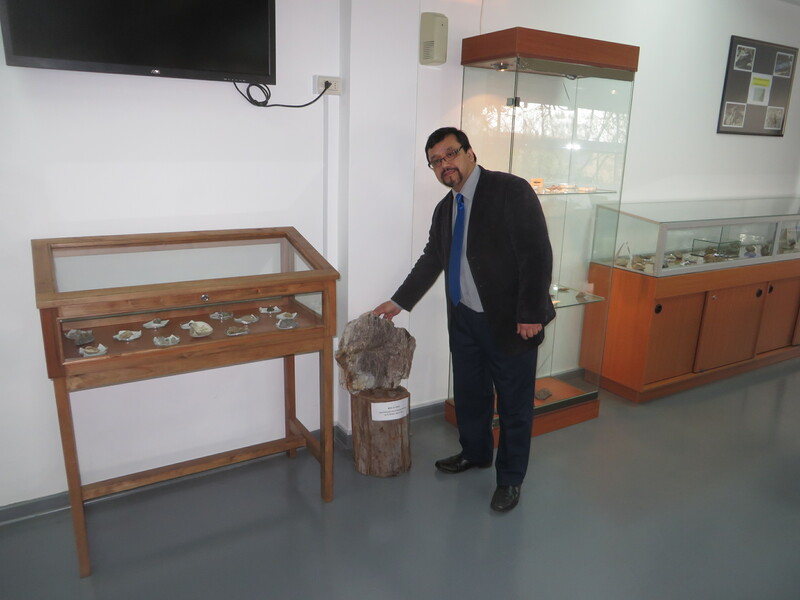 Dr. Joel Alvarez, shows off some of the beautiful specimens that can be found at the Chile resource center. 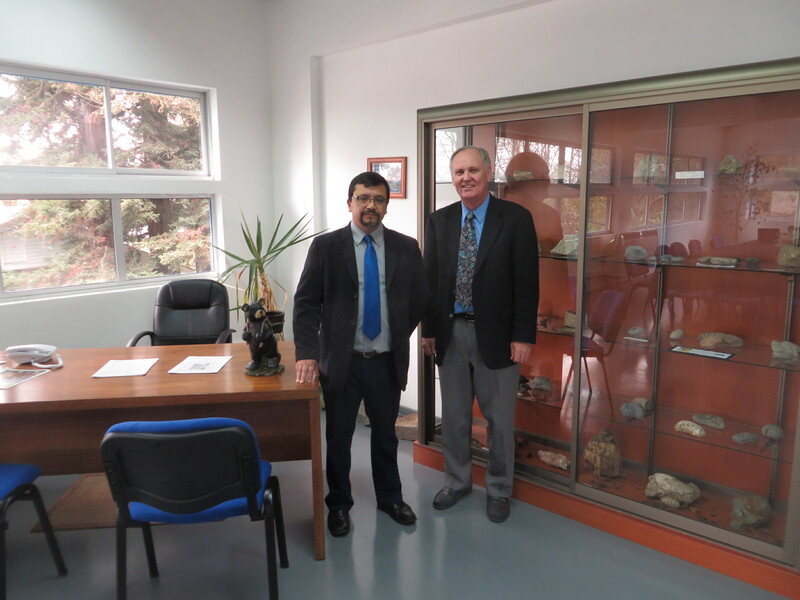 Dr. Joel Alvarez showing the resource center to Dr. Jim Gibson of GRI. 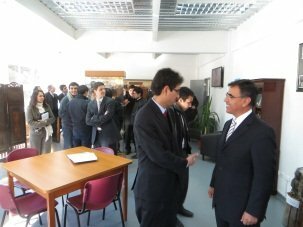 Opening day for the GRI Resource Center in Chile. 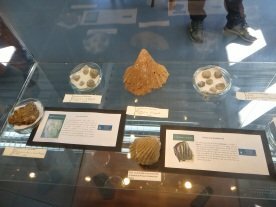 Fossil display in the GRI Resource Center.